Local activities to enjoy before or after the SMX event in San Jose, California. Unwind with some water park fun, a Westfield shopping trip or indoor climbing. If you’re heading to the SMX West event in San Jose, then we have some top tips for enjoying the local area before and after the SEO conference. San Jose is located in California and is the state’s oldest Spanish civilian settlement. However, where farms and ranches once dominated the landscape of San Jose, they have now been replaced by high-rise office blocks and industrial parks which are packed full of some of the world’s best technology firms. So where is all the fun to be had? The Raging Waters adventure park is the perfect place to unwind after a few days of SEO talks. 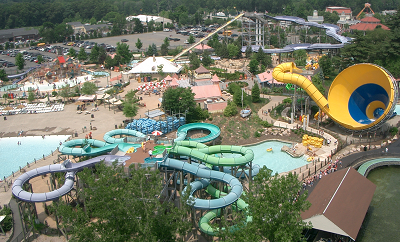 The water park is the largest in California and boasts a fantastic selection of rides and attractions. It’s also possible to rent a cabana and simply stretch out by the pool all day. Those who prefer a leisurely stroll, should head to the Municipal Rose Garden which lies over 5 ½ acres of grounds. There are 189 rose varieties with over 4,000 different species of rose shrub and 3,500 plantings. Particularly active enthusiasts might wish to head indoors to the Touchstone Climbing Studio which is San Jose’s premier indoor climbing & fitness facility. The 40 foot high lead wall encompasses a massive 11,000 square feet of climbing terrain and 3,000 square feet of bouldering. Although if you’re feeling exhausted after all that climbing, you can choose a relaxing yoga or core strengthening class to refocus and balance the mind. Feeling a little eerie? Head to the Winchester Mystery House. This Victorian mansion was designed by Sarah Winchester in 1884. The planning of the house became her life’s obsession and she built 160 bedrooms at a cost of $5.5m. It was never fully explained why she dedicated the remainder of her life to this project but it is suggested that Mrs. Winchester was convinced by a medium that continuous building would appease evil spirits. Guided tours take place throughout the house, gardens and firearms museum. 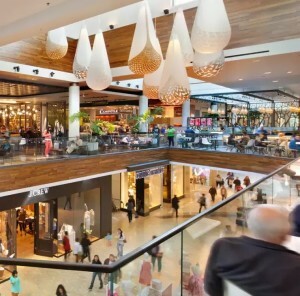 For the best shopping in the area, head to Westfield Valley Fair. You can download the Westfield app to be your personal shopping assistant for the day. It will provide you with a pocket mall map and give you store information such as opening hours. If you’re feeling a little peckish whilst you shop, then Westfield has an amazing selection of American-style restaurants to whet your appetite. Whether you’re in the mood for visiting ‘California Pizza Kitchen’, ‘The Cheesecake Factory’, ‘Chipotle Mexican Grill’ or even some incredibly Californian ‘Loving Hut Vegan Cuisine’, there is something for everyone and it will all be supersized! You’ve travelled all the way to San Jose to become immersed in the worlds of SEO and SEM, so why not continue the theme of technology by visiting the Tech Museum Of Innovation which has galleries dedicated to ‘Innovations in Silicon Valley’ as well as ‘Cyber Detectives’ and ‘Social Robots’. Spend some time planning your activities before you travel, as some of the attractions offer early bird or online discounts if you buy tickets in advance. If you’re travelling from the UK there is no need to get a visa, but don’t forget your travel cover, this is vital in America, especially if you decide to go to the water park! Remember that you can ofter check-in online to save valuable time at the airport. Speakers include Rae Hoffman (PushFire), Laura Ann Mitchell (Intel ), Christi Olson (Microsoft ), plus fiver speakers from Google: Maile Ohye, Gary Illyes, Dave Besbris, Paul Haahr, JuanFelipe Rincon and Behshad Behzadi, whi will be talking about webmaster trends and search quality. SMX West is arguably the biggest and most exciting SEO event of the year and offers a fantastic opportunity to learn new skills and network with the world’s leading names in SEO.